California's been hurting for rain the last few years, but some scientists say they should get ready for a flood of biblical proportions. SFGate reports that with the huge amounts of rainfall hitting the Golden State recently, a 2011 study that depicts a catastrophic "megastorm" is getting more attention. The study by the United States Geological Survey suggests that California suffers a massive flood every 100-200 years. The best known example of this is the Great Flood of 1862 when, for about a month, the west coast was pummeled with constant rain. It was so bad that Sacramento was all but submerged. A local paper reported that 1,400 Chinese immigrants and 800,000 cattle died as a result of the flooding. Sacramento was hit by at least two more monster floods after the Great Flood. The situation was so severe that Congress authorized major flood control projects in 1910. 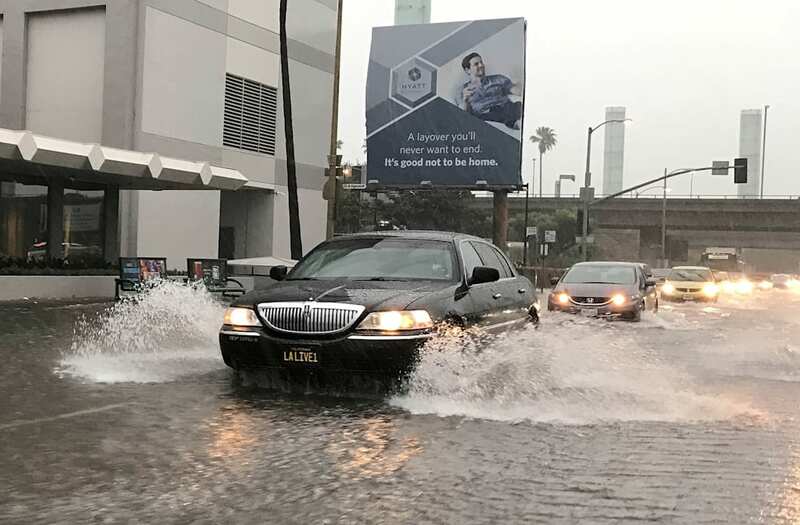 While this surge of rain is helping with California's drought problem, let's hope the rain stays helpful and not harmful.